Meet the queen of the household. 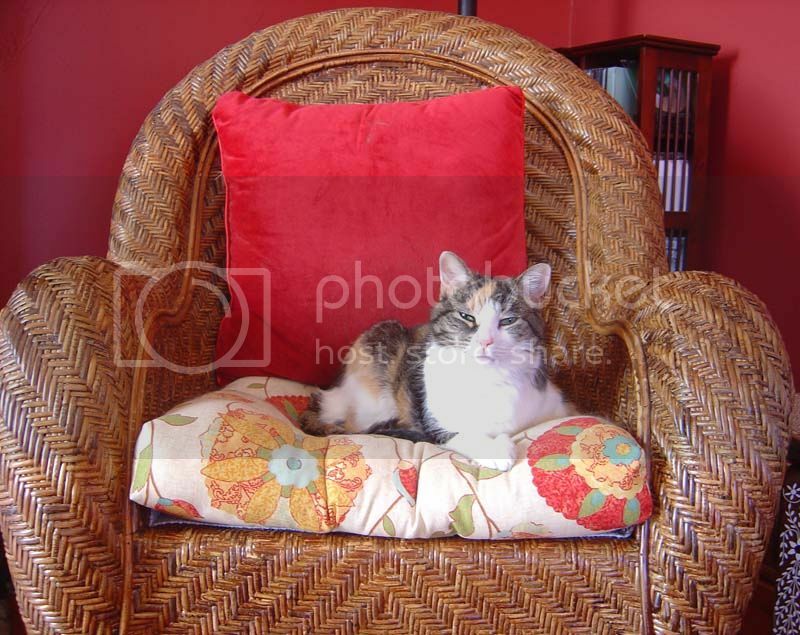 Penelope showed up in our yard in summer 2005, barefoot and pregnant with what turned out to be 7 kittens. The meal we fed her that day has never been matched in sheer deliciousness. 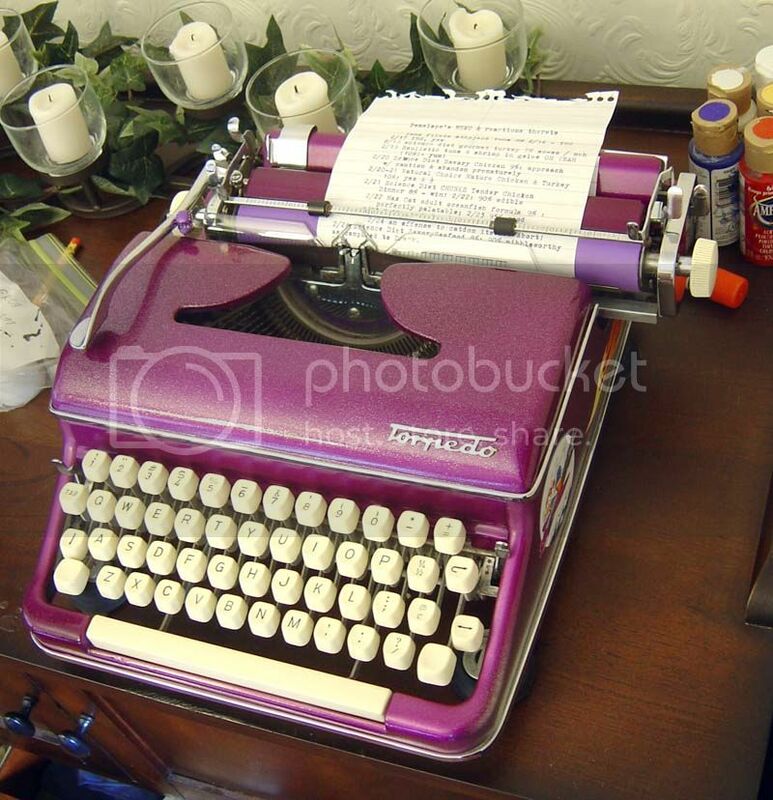 Now meet the Purple Prose Producer, if you haven't yet. The Producer has been pressed into service to detail Penelope's reactions to a variety of foods I picked up at Petco that match her vet-mandated low-protein-percentage requirements. The following typecast was dictated very clearly by Penelope. She just hasn't mastered touch typing yet, so I did the secretarial work. And the clear winner, earning the coveted Link From Writing Ball, is: Soulistic! This weekend I cleaned up the Olympia SG1 that I got at the Ohio Valley Antique Mall. It looks army green in this "before" shot, but I found that when I cleaned it with Scrubbing Bubbles, the body panels were actually gray. Gray + the dirt of life = green. 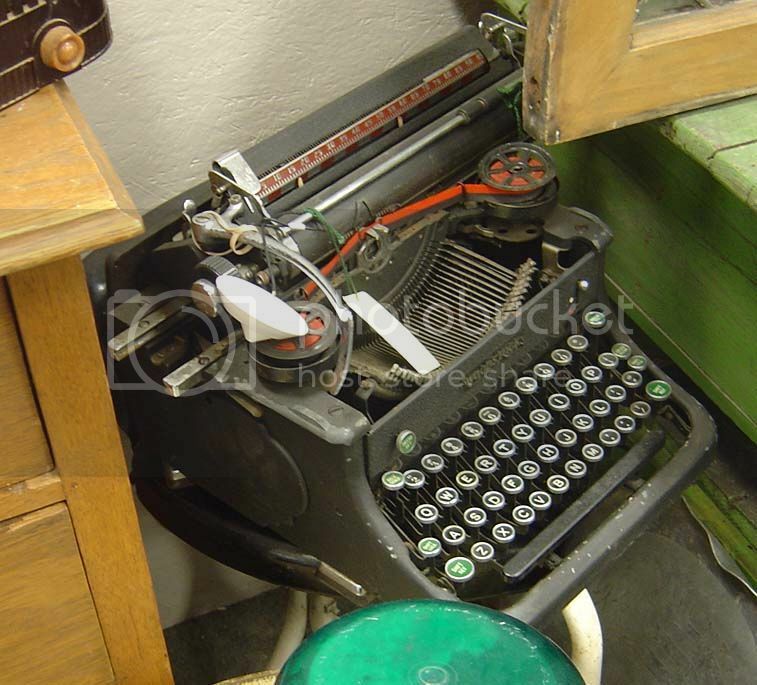 This typewriter will eventually be going on sale at WordPlay. 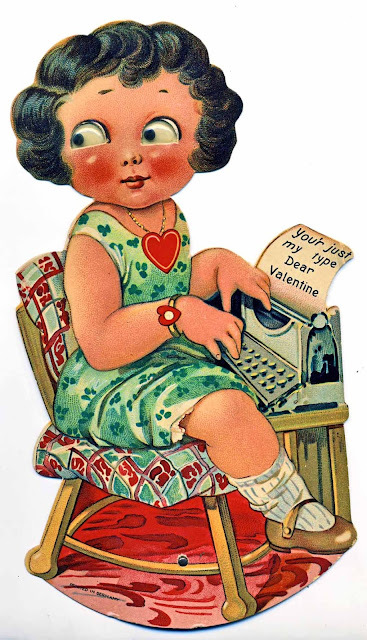 By the way, by reading black typing on a red portion of this typewriter's ribbon, I was able to get a partial name and address of a woman who either owned this typewriter or received a note written on it -- an invitation to "Jester's Christmas Partytown." 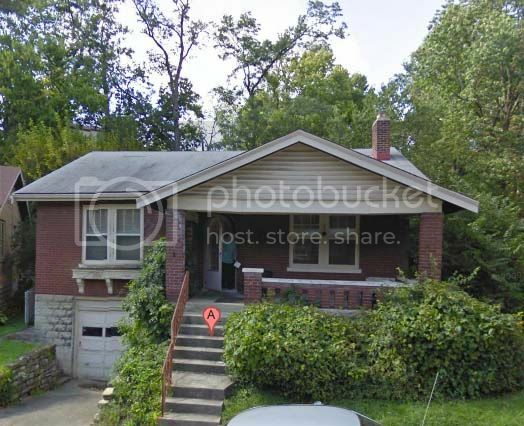 A minute of experimental googling yielded her complete address, her birth year (1930), and a picture of her house -- with, presumably, her or her husband at the door! 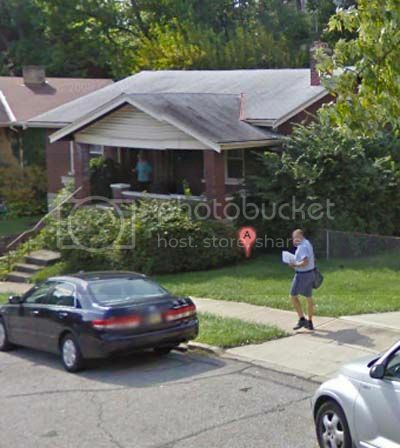 The person is either looking at the weird Google Maps car, or waiting for the mailman who's on his way. Creepy? I'd say so. 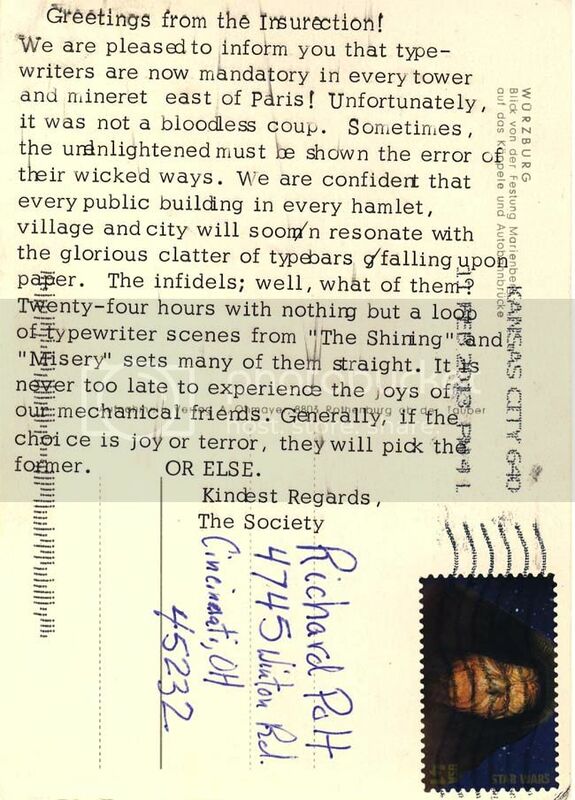 Lessons to be learned: (a) Pay attention to your used typewriter ribbons. (b) The very concept of privacy is being destroyed in the information age. 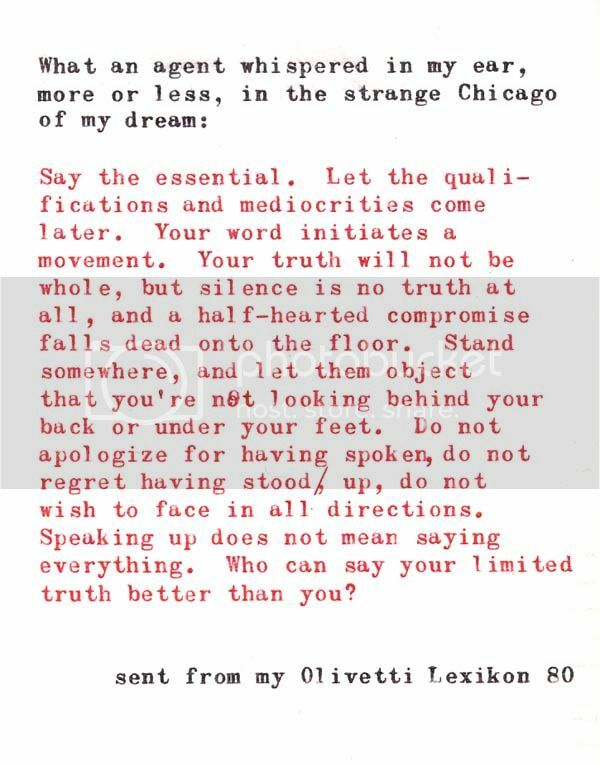 Typewriters, carefully used, provide one of the few remaining means of communication that can bypass the whole global system of data analysis: a letter carried by a mail carrier like this. The second installment in my public display has gone live. (Here's the first installment if you missed it.) The idea behind this selection is to illustrate various compact single-element mechanisms and the development of early portables, as well as some classic standards. Blickensderfer no. 5 (USA, 1902): The “Blick” is a compact and ingenious machine that uses interchangeable typewheels and an ink roller. This one has a Polish keyboard, with the most commonly-used letters located on the bottom row. One shift key is for capital letters, the other for numerals and punctuation. 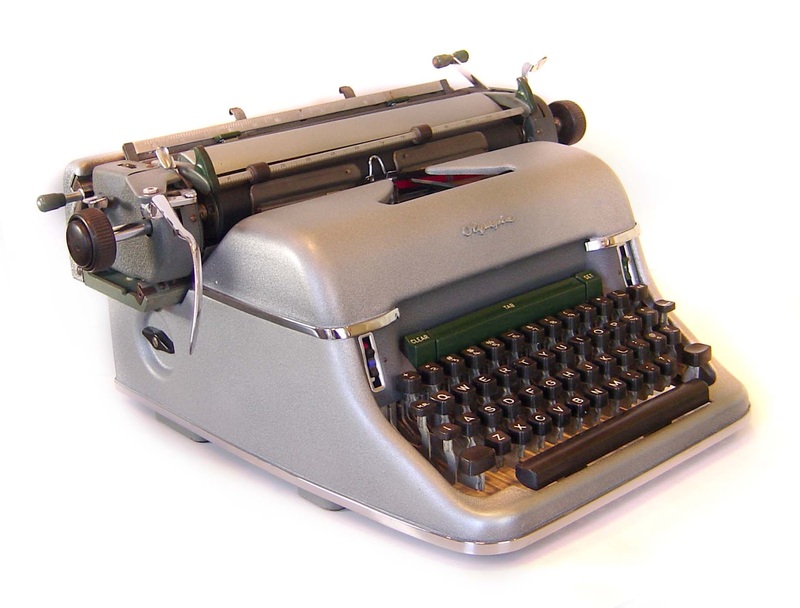 In 1902 the company introduced a sophisticated electric typewriter that was not a market success. Blickensderfer no. 8 (USA, 1908): A somewhat more elaborate version of the basic Blick design. This particular machine has an aluminum body for lightness. It uses a DHIATENSOR keyboard (Blickensderfer’s favored English-language arrangement). 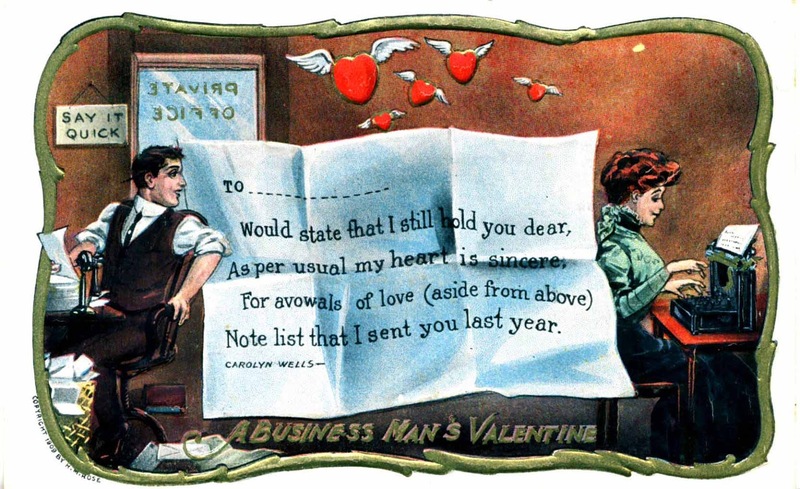 Postal (USA, 1904): This competitor to the Blickensderfer uses an ink ribbon and an interchangeable typewheel. Commercial Visible no. 6 (USA, 1901): On this elegant, “wasp-waisted” typewriter, a hammer hits the paper from behind against the ribbon and typewheel. Helios-Klimax (Germany, ca. 1919): This small typewheel machine uses a very unusual two-row keyboard with triple shift. This example has a Spanish keyboard. Chicago (USA, 1915): Introduced in the 1890s, the Chicago uses an interchangeable metal type cylinder that rotates and shifts on a horizontal axis; a hammer strikes the paper from behind. The unusual keyboard places the Q on the bottom row. Erika no. 1 (Germany, ca. 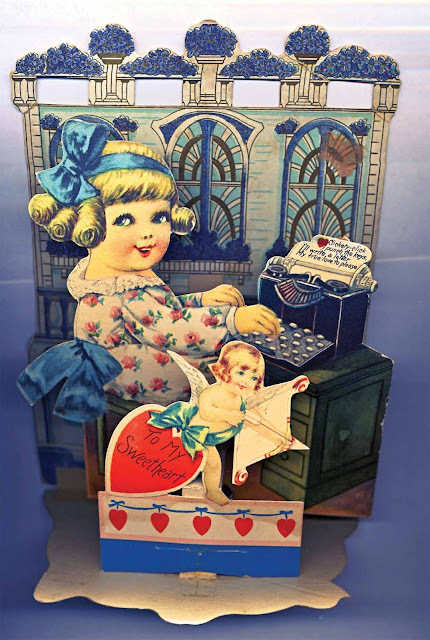 1910): This little typewriter achieves compactness by folding its carriage down onto the keyboard for storage (a system introduced in the US by the Standard Folding typewriter, which later became the Corona). A succession of Erika portables was made in Dresden until the 1990s. Kancléř no. 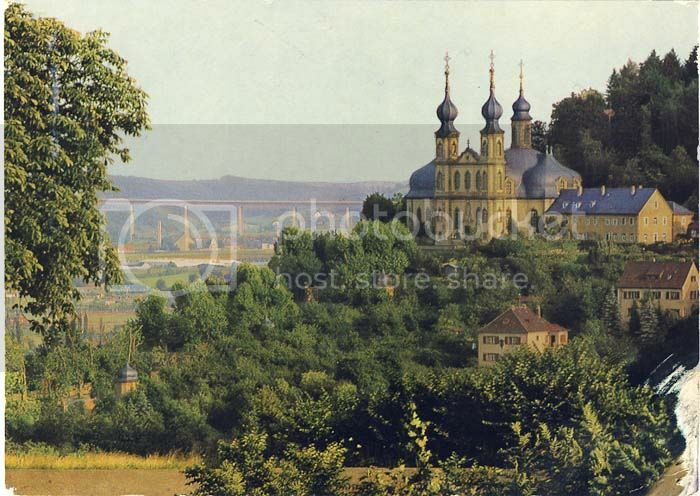 3 (Germany, ca. 1910): Due to the complex system of typebars on this large machine, a whole column of keys goes down when any key in that column is depressed. 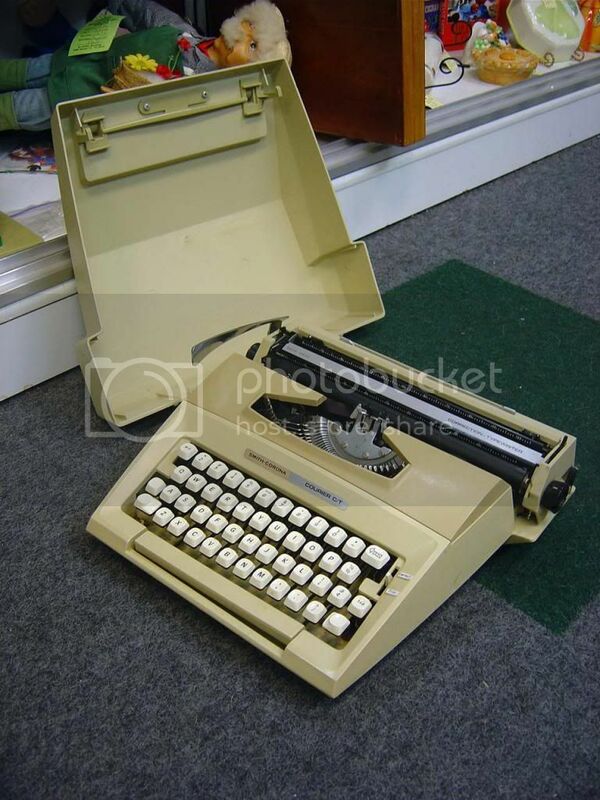 The typewriter is usually called Kanzler, but this example with a Czech keyboard uses a Czech version of the name. Fox no. 23 (USA, ca. 1906): Foxes were made in Grand Rapids, Michigan; they are known for their Art Nouveau styling and high quality. Fox portable no. 2 (USA, ca. 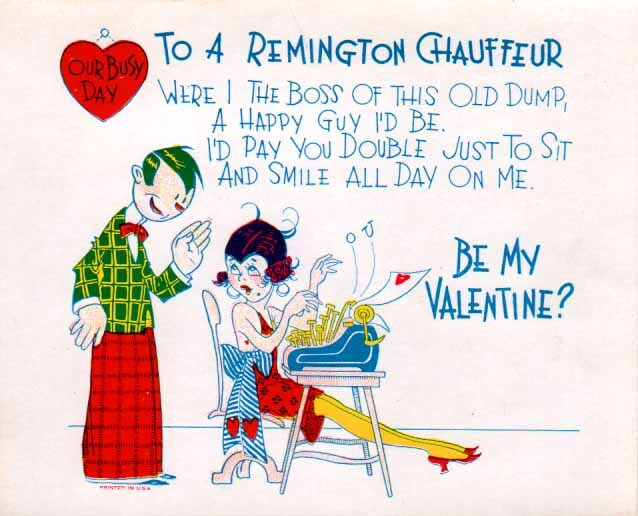 1918): The carriage of this “Baby Fox” folds down behind the typewriter when not in use. A lawsuit from Corona over this design contributed to the demise of the Fox company. Oliver no. 5 (USA, ca. 1912): The unique Oliver design was introduced in the mid-1890s and made until 1928 in the US; in the UK it was produced into the 1940s. Typebars shaped like inverted U’s swing down from left and right onto the platen. Some Olivers sold in Latin America, like this one, were nickel plated. Typewriters around Cincinnati seem to have migrated from the thrift stores to the antique malls, picking up bigger price tags in the process. 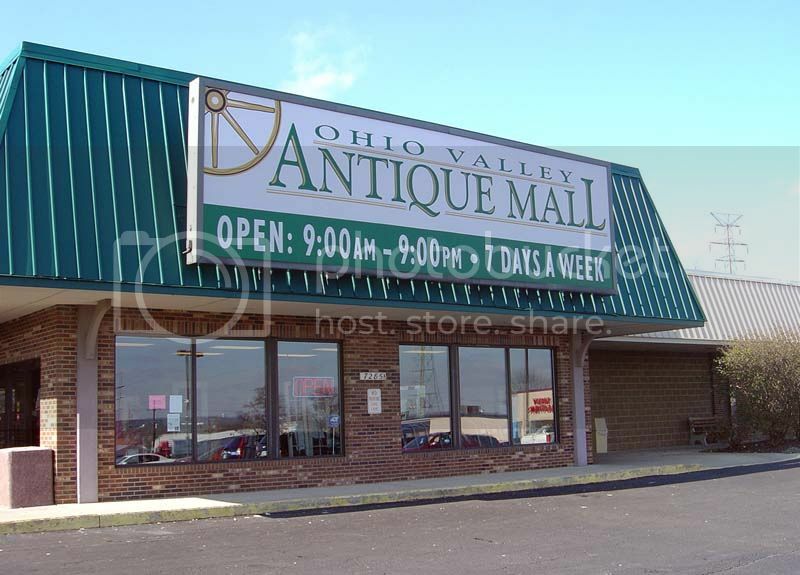 One of the best places to hunt is the huge Ohio Valley Antique Mall in Fairfield, and my visit on Monday included the most typewriter sightings ever. 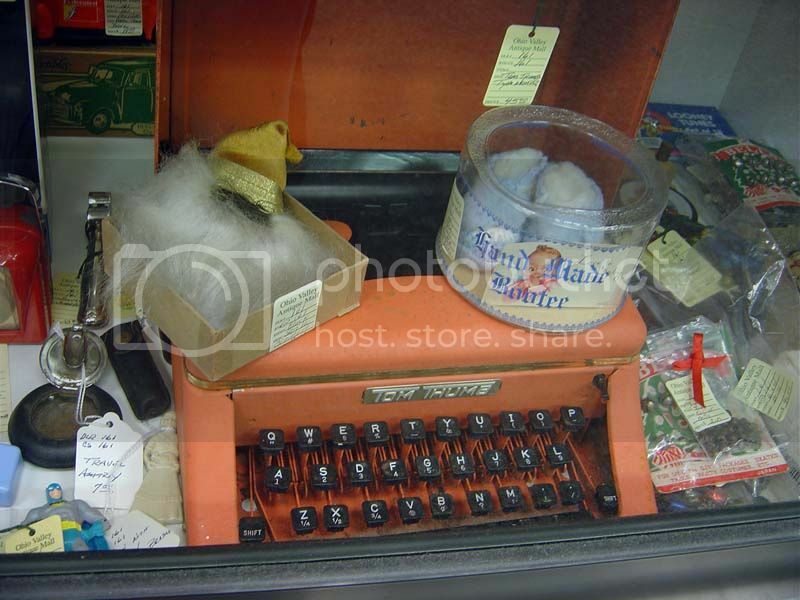 I brought my camera, and just to prove that all the typewriters aren't in Switzerland, I thought I'd share my sightings with the typosphere. 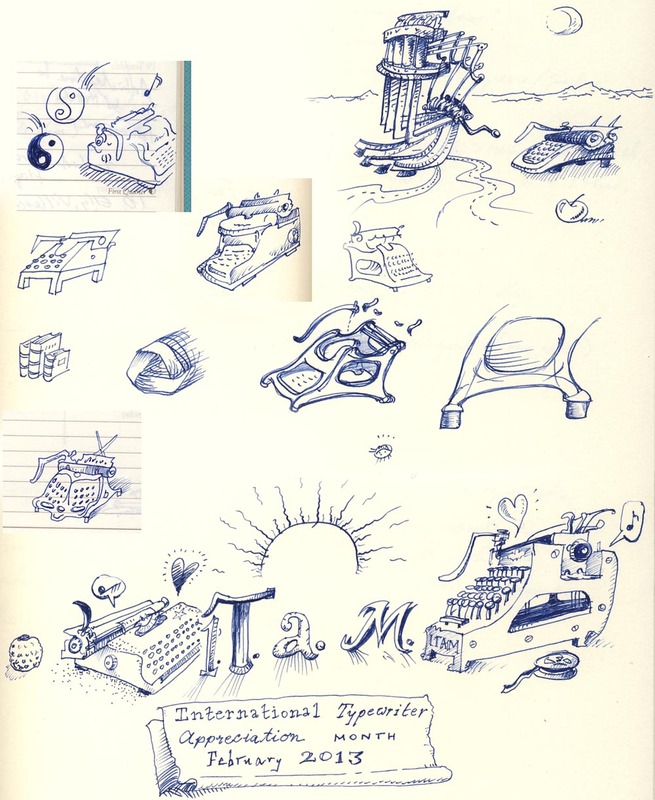 Happy International Typewriter Appreciation Month! 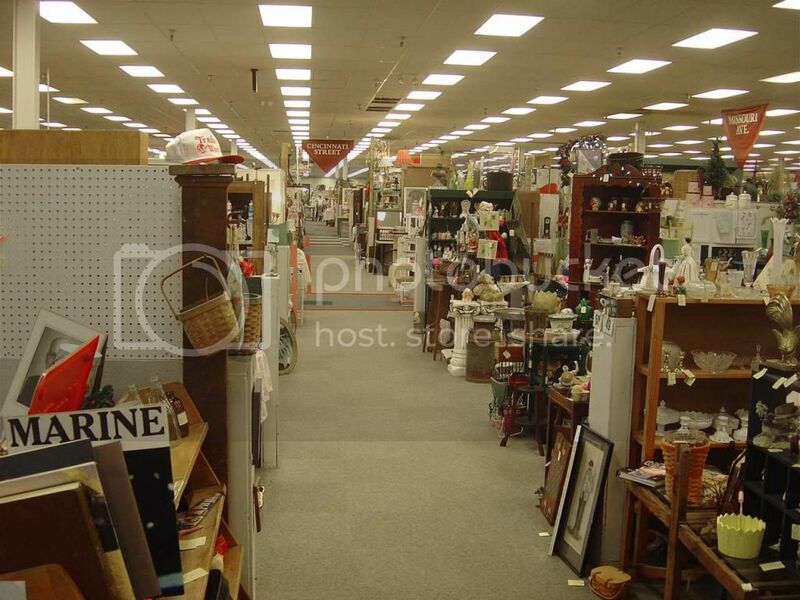 This place takes about half an hour to get through if you're striding fast and paying attention to typewriters only. It's divided up into named "streets" and "avenues." 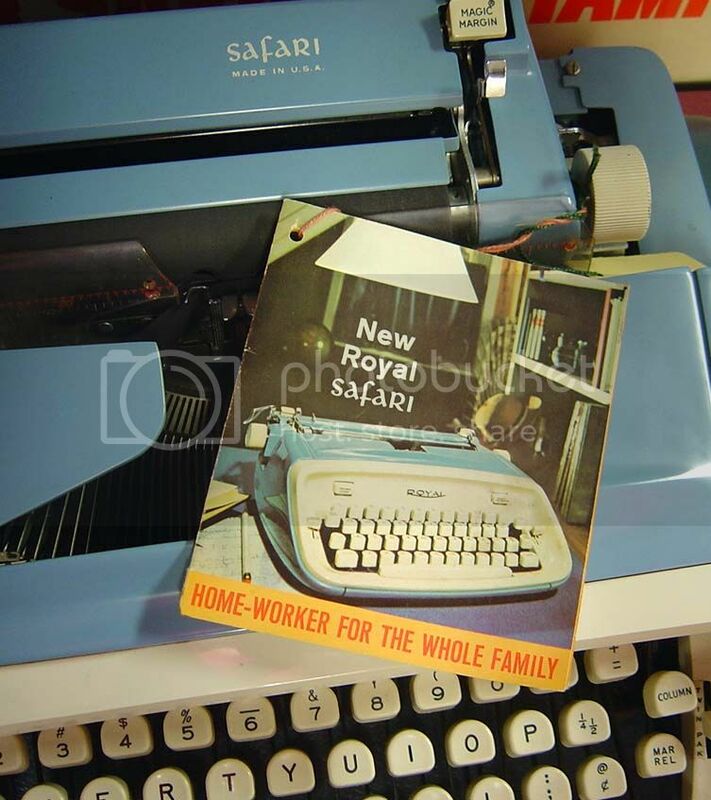 My first sighting was this Royal, KMG-4170416 (made in 1950 according to The Typewriter Database), for a mere $22. It's dirty but works. Nearby, this Woodstock missing the ribbon cover was jammed into a corner and I didn't want to wrestle it out to find the serial number. Looks like a 1940s Woodstock Standard. The price? $60. Here's an antique! Oliver no. 3 #123572, circa 1905. 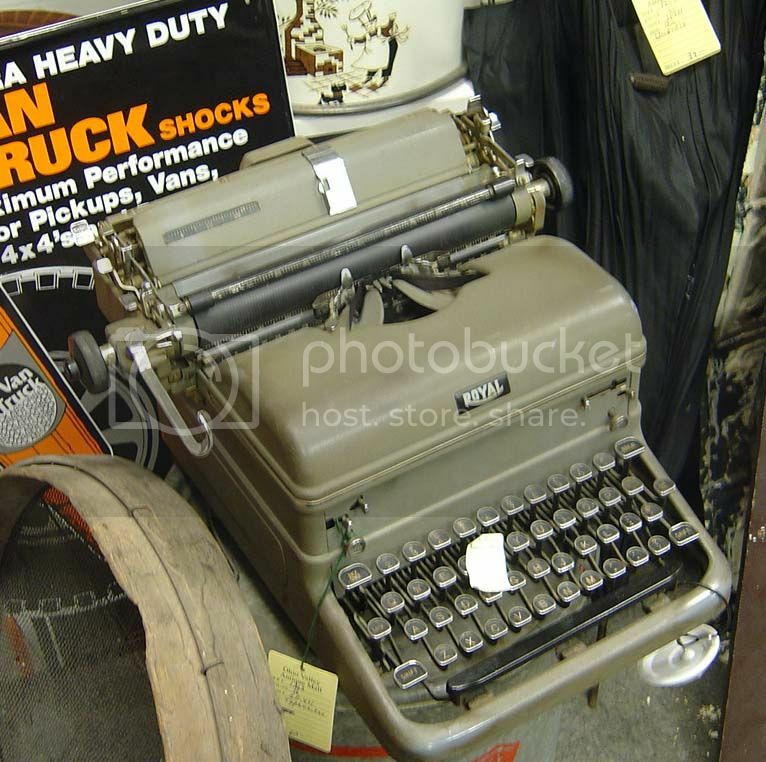 They wanted $100 for this one, which seems fair but not a huge bargain, given the typically rough condition of the typewriter (chipped spacebar, worn nickel, rust). Two toys: a Tom Thumb for a stiff $95, and a Unique "Dependable" for $29. What might justify the price on the Tom Thumb is this unusual paperwork that came with it. I whipped out my spy camera and took these shots. You can also have the operating instructions as a PDF here. 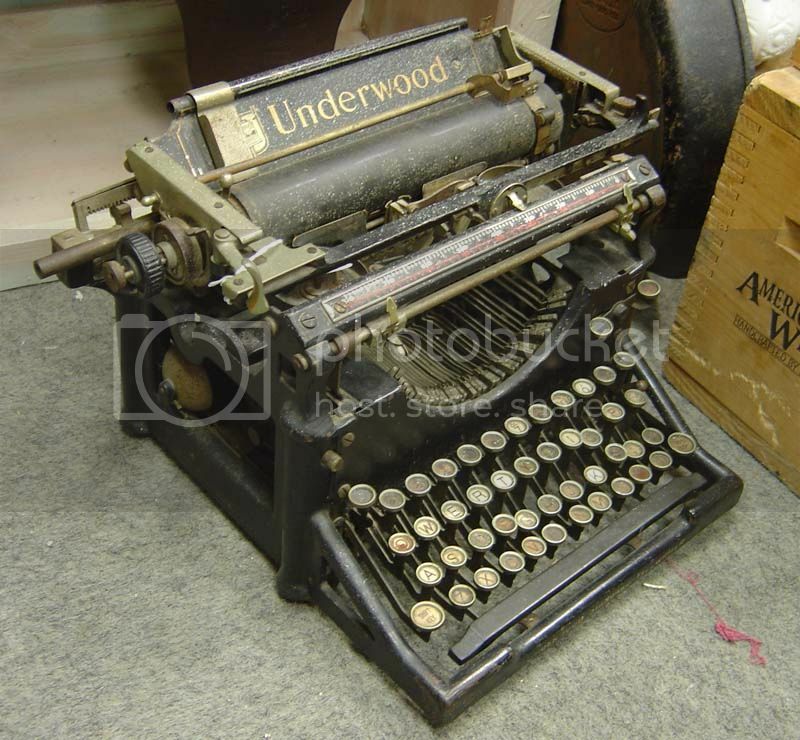 What's an antique store without an Underwood no. 5? This paint-speckled specimen (#719181, made 1914 but labeled "1930's era") had a price tag of $179.95. 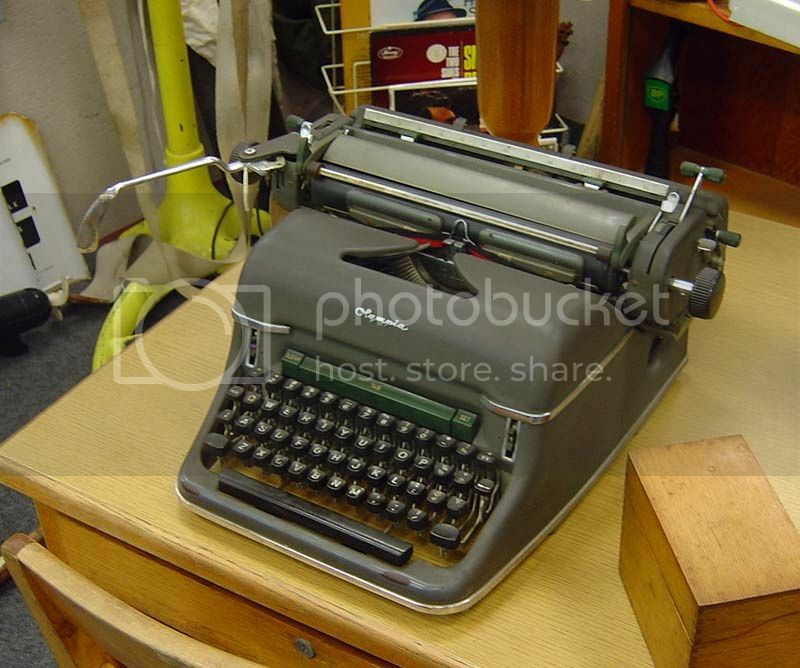 This unattractive typewriter might actually be the rarest one I saw. I don't recall spotting another before. 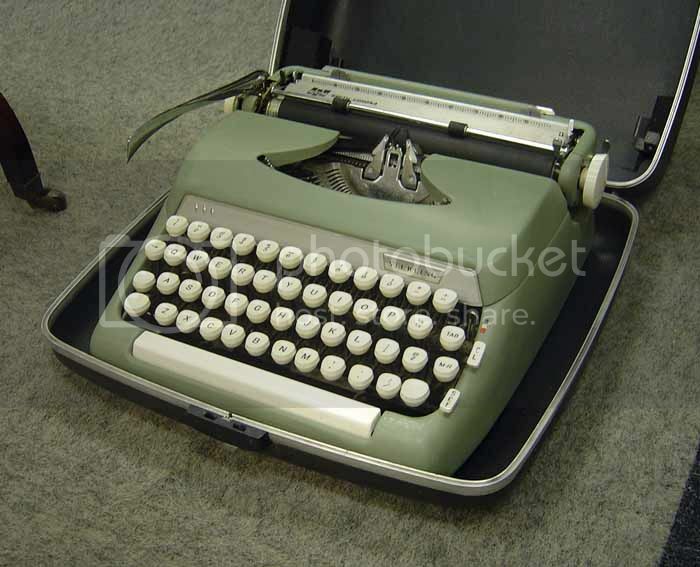 It's a Smith-Corona Courier C/T, made in England. C/T stands for "Correction/Typewriter." Yes, they expected you to use one of those ribbons with the correction tape on the lower half, which eventually get flaky and muck up your mechanism. Aside from the wide carriage and the particular style of plastic housing, this is the same old ultraportable mechanism first introduced in the '30s on the Zephyr, then made famous by the Skyriter. Construction is flimsy, as on all these late mini-Smith-Coronas. I could not find a serial number. Price: $24.95. Ouch. Just ouch. This battered '50s Underwood was so rusty and jammed that I couldn't check its serial number. They wanted $24.99 for it. I thought about taking it for parts (the similar Underwood I recently cleaned up for WordPlay is missing its front panel). 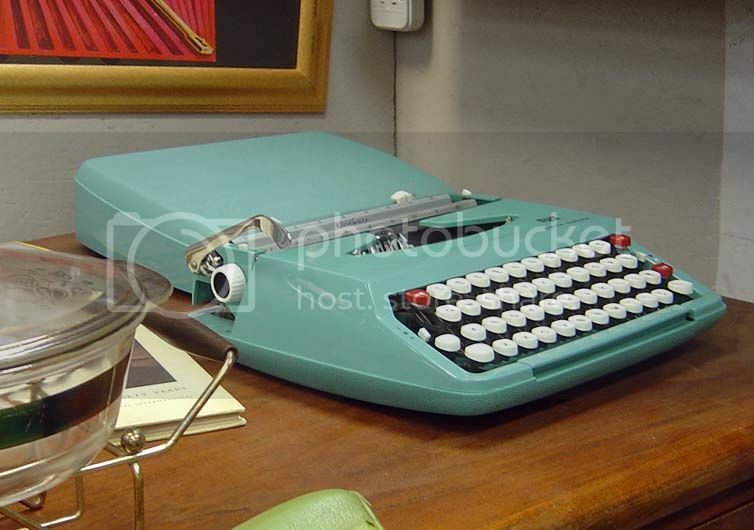 Here's another English-made Smith-Corona, in the unmistakable aqua color. The owner of this booth was asking $120 for this Corsair. Here's a Hermes Baby Featherweight (#85862, made in 1936, the second year of production); price $49. Two shelves below is a Marx Dial toy for $59. The price for this nearby Royal Safari was $49. 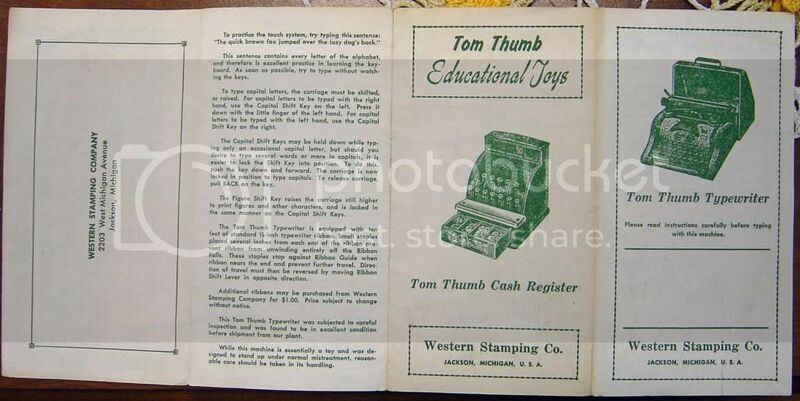 The machine is practically like new, and even includes this original mini-brochure. Let's take a moment to delight Adwoa. 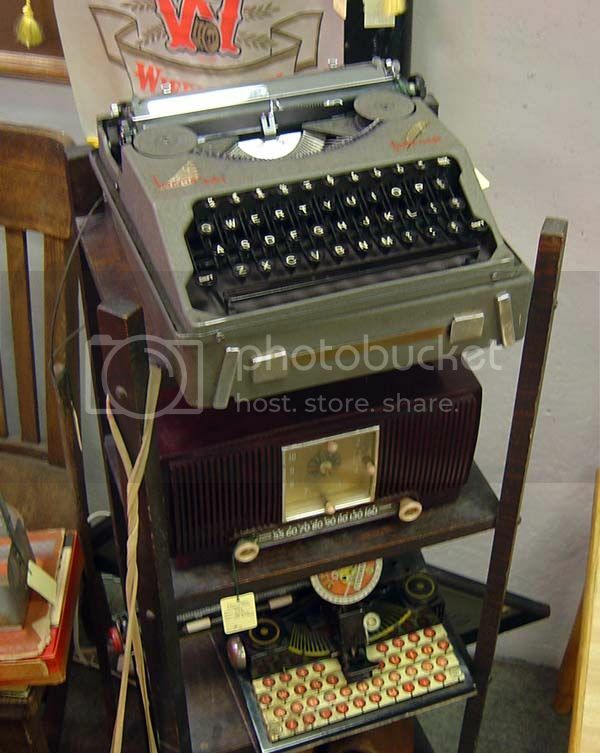 Now back to the typewriters: a Royal Administrator electric for $55, reduced to $40. 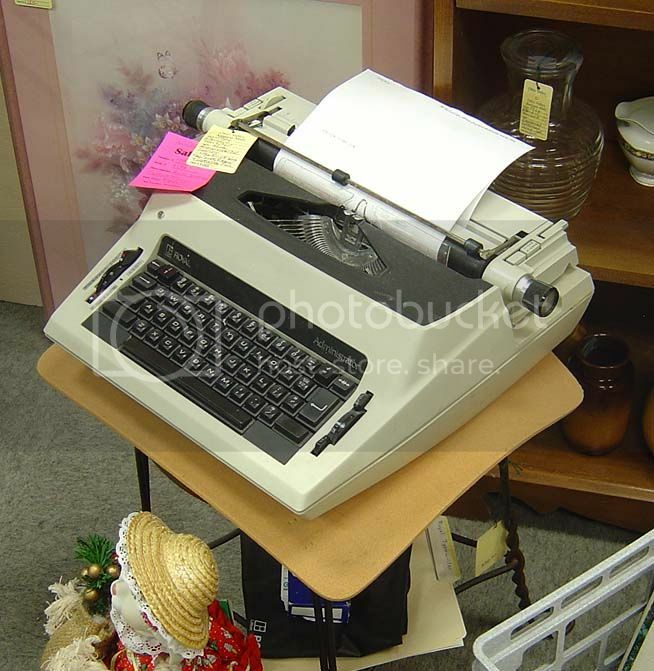 Here's an Olympia SG-1, dirty but functional, for $29.99! As usual, the plastic paper support has broken off. This Tom Thumb in a display case is $45. 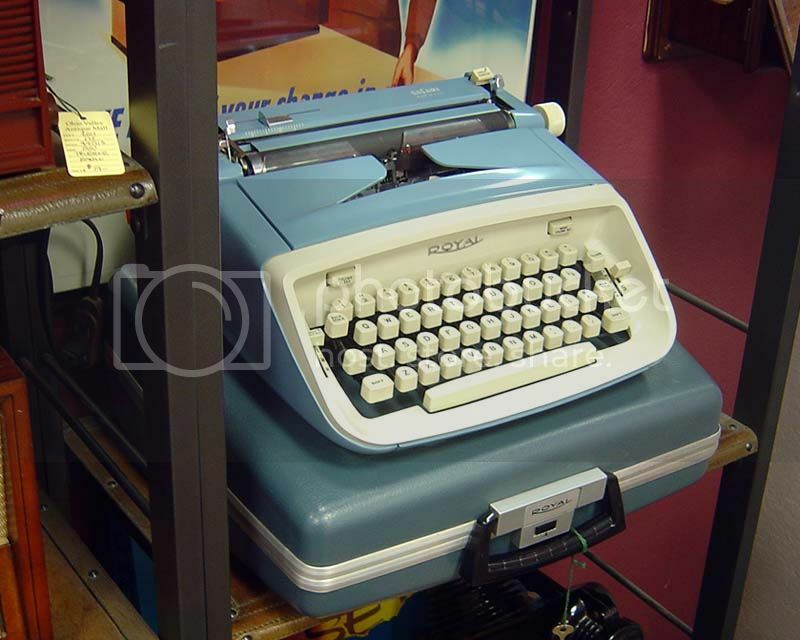 And finally, I spotted a Smith-Corona Sterling for $20. "Needs work" according to the label, but the only thing wrong I could find was a twisted ribbon. 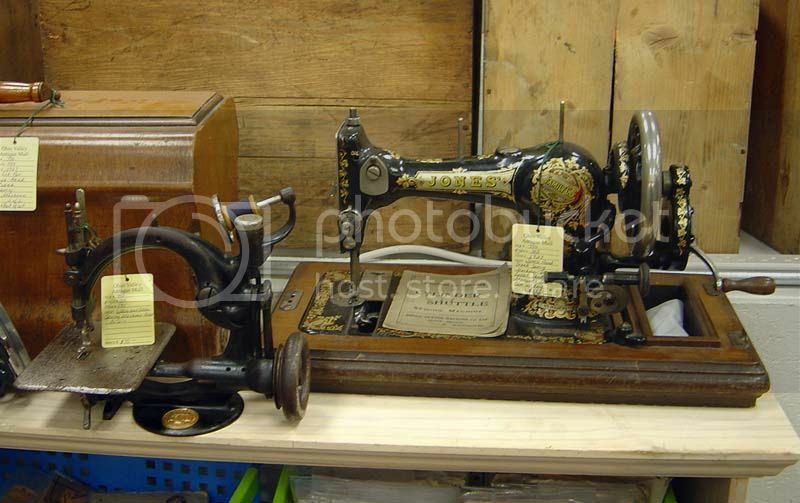 Now for the game: can you guess which two of these typewriters I took home with me? The answer will be posted in the comments in about 48 hours, and the first person who guessed right (if anyone) will get a postcard from me by postal mail. 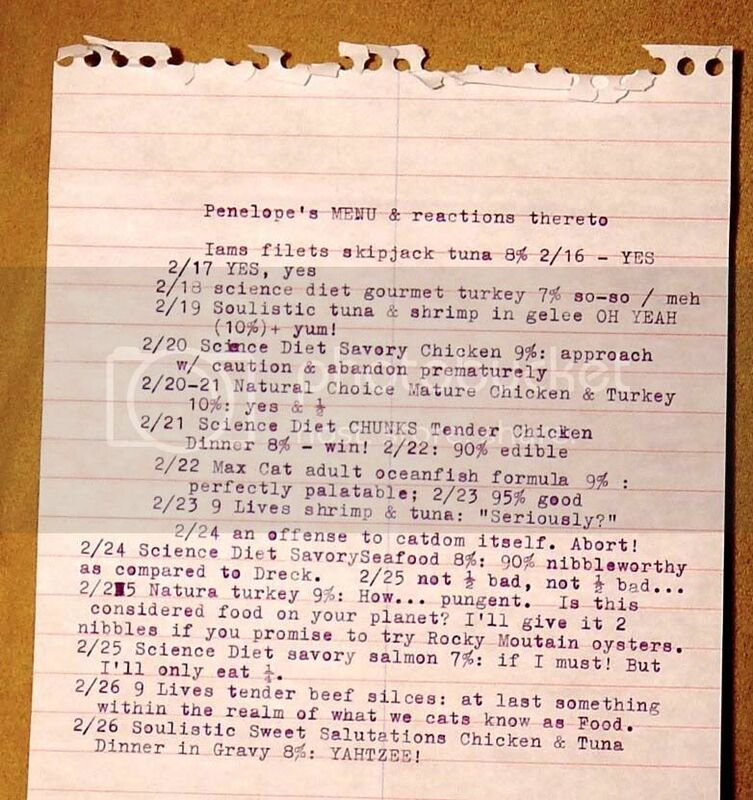 Here are some mechanographical mash notes kindly provided by Peter Weil, from his extensive collection of typewriter ephemera. Don't miss the others that Robert Messenger just put up! Hello, visitors. This post has become one of the most popular on my blog. 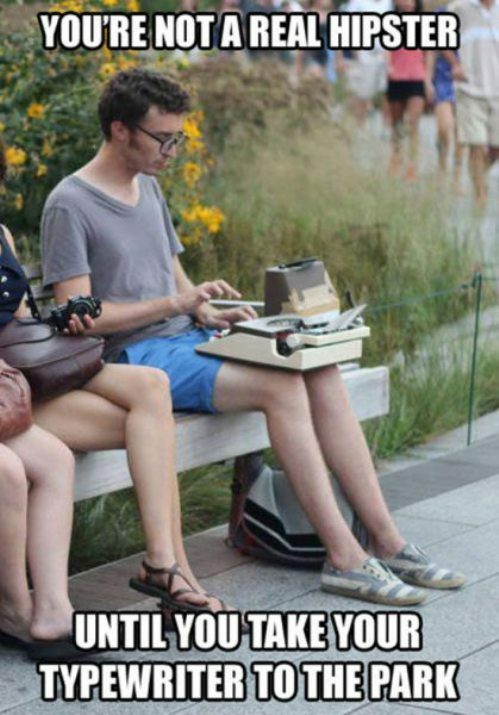 Evidently, people are curious about the hipster-typewriter connection. 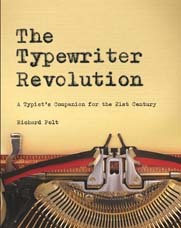 For more on this topic, see "The Hipster Brouhaha" in my book The Typewriter Revolution. 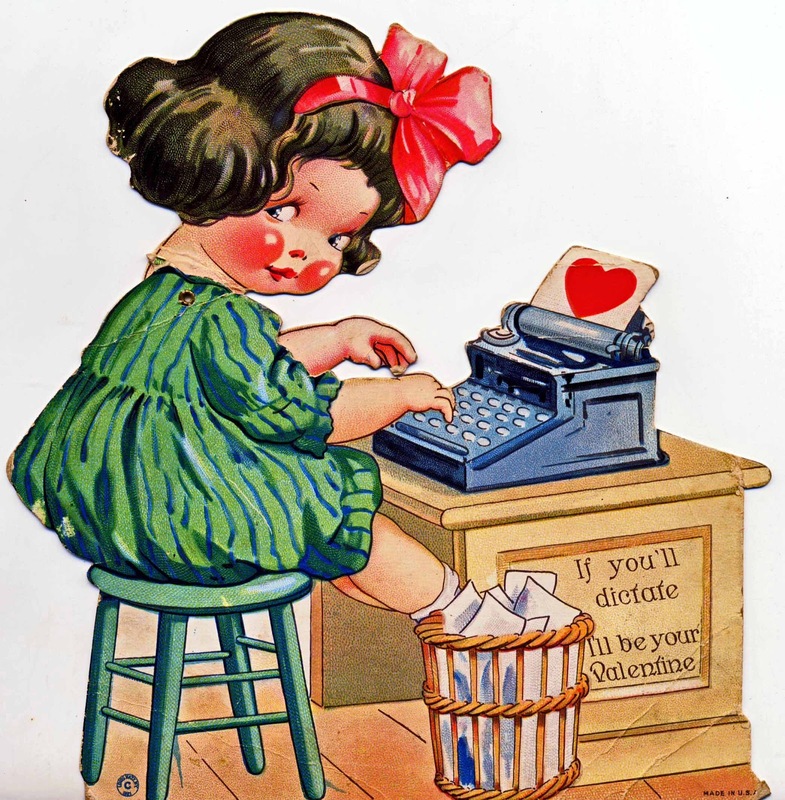 As you've probably already caught on, you won't find any hatred for typewriters on this blog. You won't find me hating hipsters, either; I wouldn't qualify as one, but I think most of the vitriol directed against them is mean-spirited and hypocritical. 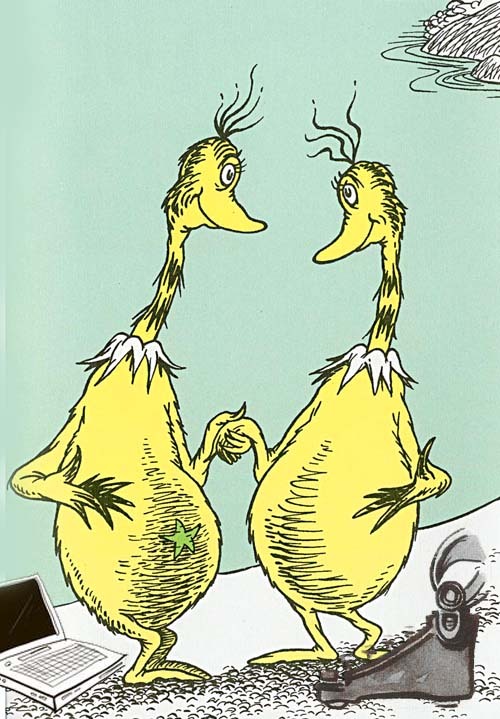 If you're interested in a more tolerant point of view, read on. 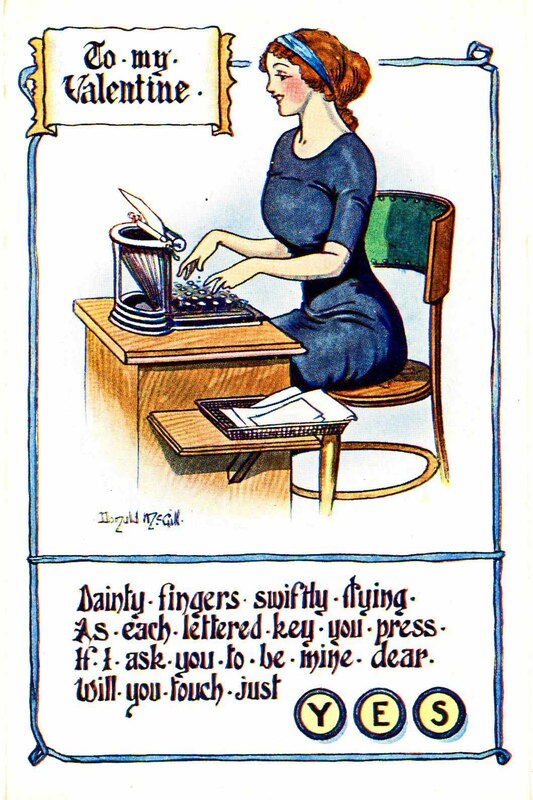 The typist in this widely-circulated image is C. D. Hermelin, who earns a little money writing short stories on demand on his typewriter. Here he's plying his trade in New York City's High Line park. He's a smart, creative guy who does not deserve any abuse. You can read his own account of becoming "an object of Internet ridicule" here. A similar case of mindless abuse was recently directed against an "idiot using his typewriter in a Starbucks." The typist, Zachary Schepis, courageously identified himself and answered questions with panache. Moral: learn and think before you judge. Live and let type! 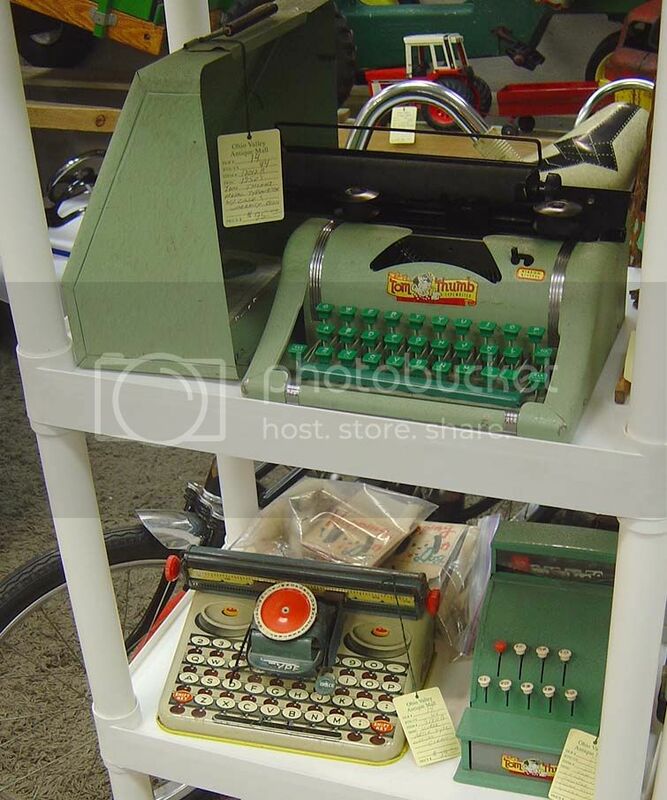 In 19 years as a typewriter collector, I've never had the chance to put on a public display of my machines before. But the Xavier University library has agreed to a rotating exhibit of selections from my collection over the next couple of months. There will be four groups, more or less in chronological order. This first group is meant to illustrate some of the interesting possibilities in 19th-century typewriter design. 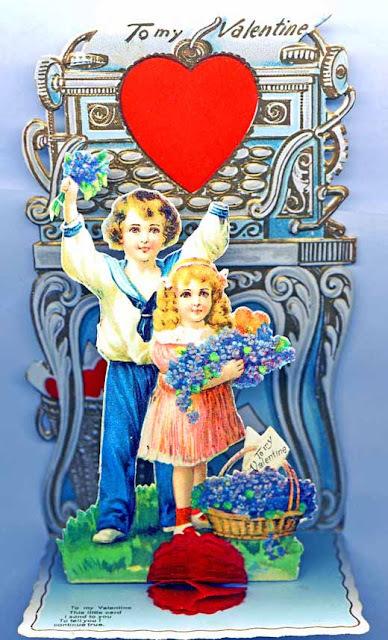 A few postcards, ribbon tins, and a book are included. When the next groups go on display, I'll show them on the blog too. Crandall New Model (USA, ca. 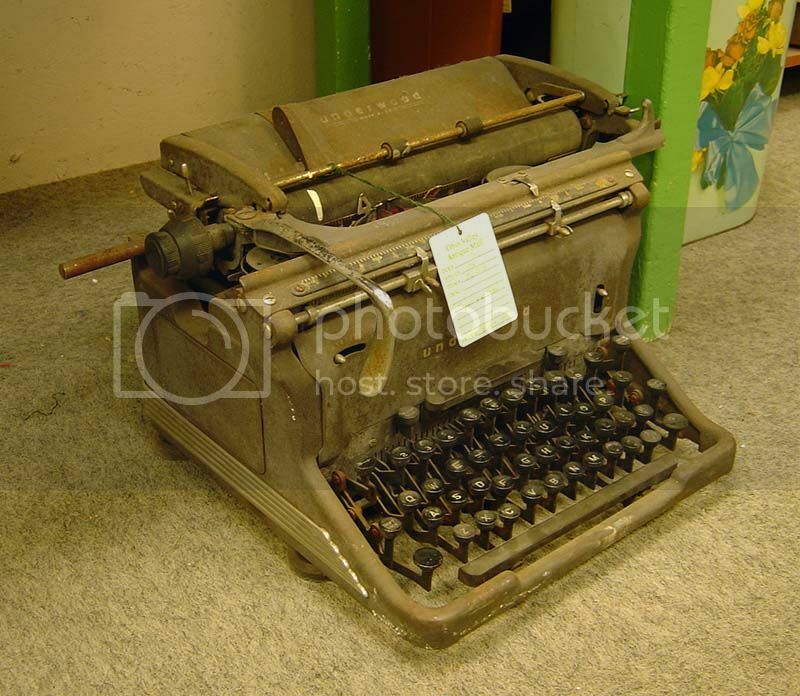 1889): Invented by Lucien S. Crandall, this early typewriter uses an interchangeable type cylinder and a curved two-row keyboard with double shift. It is hand-painted and inlaid with mother-of-pearl. Smith Premier no. 1 (USA, ca. 1895): One of the most successful 19th-century typewriters, the Smith Premier has no shift key and instead uses a double keyboard, with separate keys for upper- and lowercase characters. 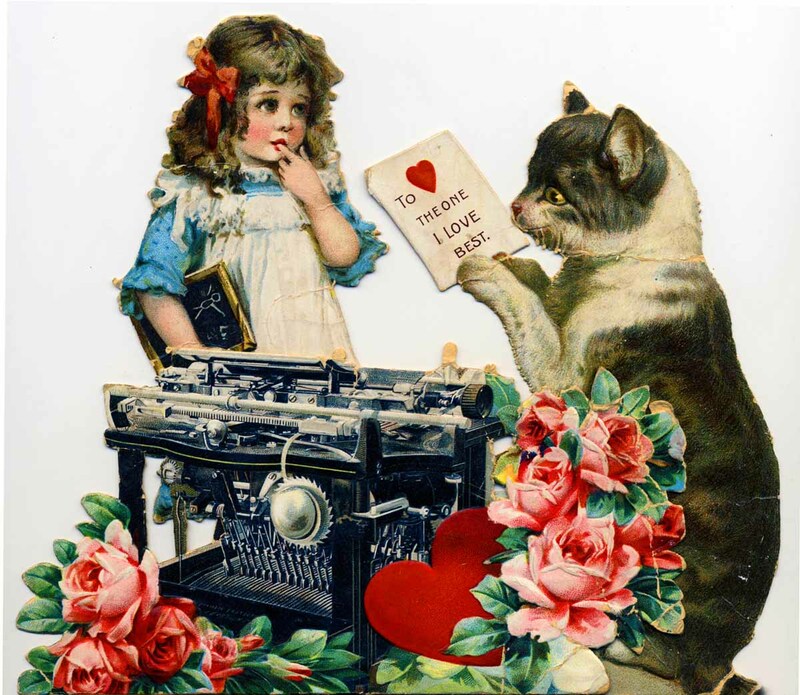 Like many early typewriters, it is an understroke or “blind writer”: it types on the underside of the platen (the rubber-covered cylinder), which the typist must raise to see her work. Odell no. 2 (USA, ca. 1895): The Odell is one of many “index” typewriters, which require the user to point at a character on an index and then perform a separate action to print the character. 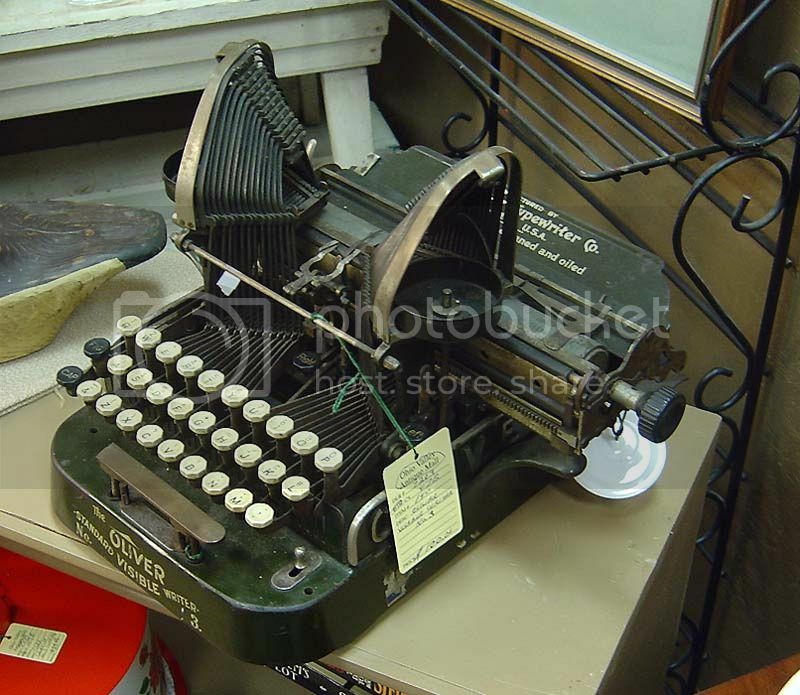 These typewriters were slower and cheaper than the large office machines. When the standard price for an office typewriter was $100 (comparable to about $3000 today), the Odell cost $5 ($150 today). Williams no. 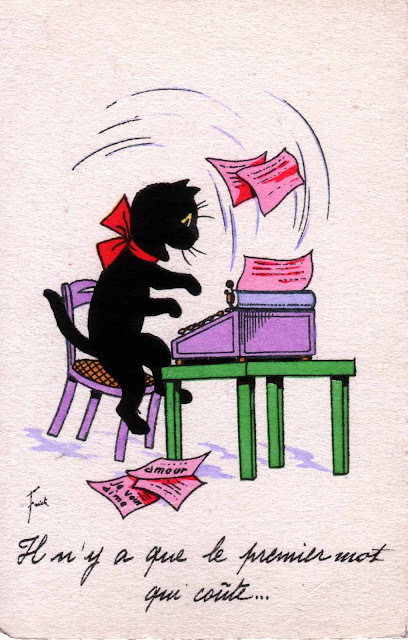 2 (USA, 1896): Williams typewriters are known for their so-called grasshopper mechanism, in which the type “hops” from an ink pad onto the paper and back. Only a few lines of typing are immediately visible. New Franklin (USA, 1896): This model employs a downstroke mechanism and has a distinctive curved keyboard. Fay-Sho No. 4 (USA, 1901): a copper-plated blind writer known for its elegant neoclassical design. Like many but not all early typewriters, it uses the QWERTY keyboard first introduced on the Sholes & Glidden Type Writer of 1874. Columbia Bar-Lock no. 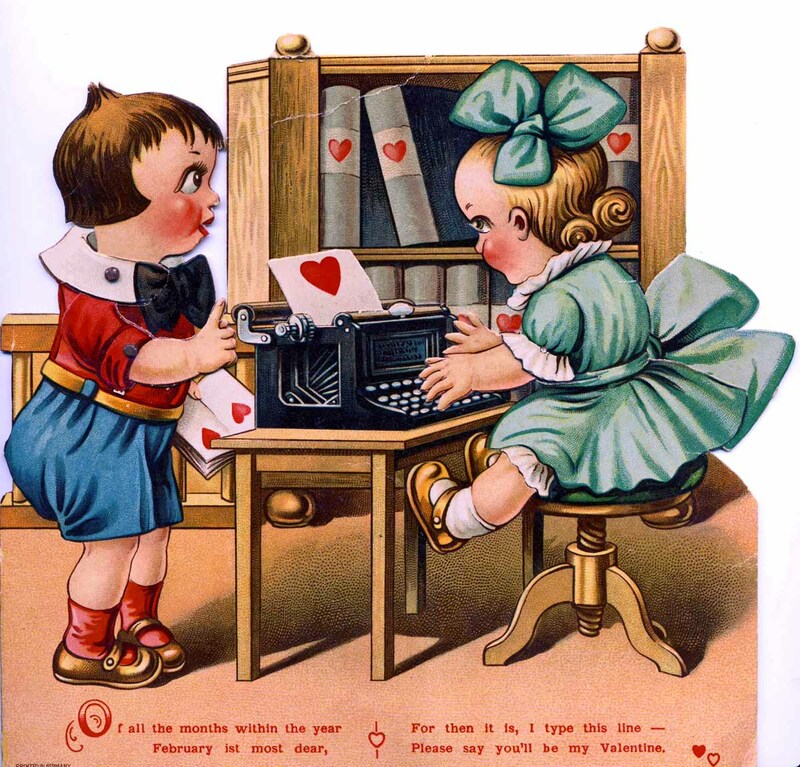 14 (USA, 1910): a downstroke typewriter with a double keyboard, named after its system of locking the typebars to ensure good alignment.